The Memories. The Artistry. The Future. Thank you for being a part of AS/40 celebration hosted by the Birchwood in the Grand Ballroom on 10/6/17! It was a really lovely gathering of friends and supporters from the past four decades coming together as we toasted the amazing accomplishments of American Stage through the years. Some Highlights from the Night! The finale performance from the full cast! Seeing actors & patrons who haven’t seen each other in ages reconnect. Click Here or email stories@americanstage.org to share your favorite American Stage stories and photos. Since 1977, American Stage has contributed to the vitality of Tampa Bay as a regional professional theatre. With a $3.5 million annual economic impact, American Stage is a valued arts institution, employer & economic driver for our locale. Our powerful storytelling and arts education elevate the quality of life and social impact for FL residents & visitors alike. We believe that through the telling of dynamic stories, live theatre has the power to unite us in our shared experiences and to deepen our connection to one another through the illumination of diverse perspectives. Our year-round programming seeks to realize this through our Mainstage season, New Play Festival, American Stage in the Park & much more. American Stage artists and stakeholders are responsible for helping a small theatre touring company blossom into a thriving world-class professional theatre providing nearly 70,000 Tampa Bay residents and tourists with accessible, relevant art and arts education annually. As the City of St. Petersburg continues to gain more global recognition as a premier arts destination, with your support, we can fund a future that brings American Stage’s brand of theatre to reach even more people, with exceptional quality and powerful storytelling for all. 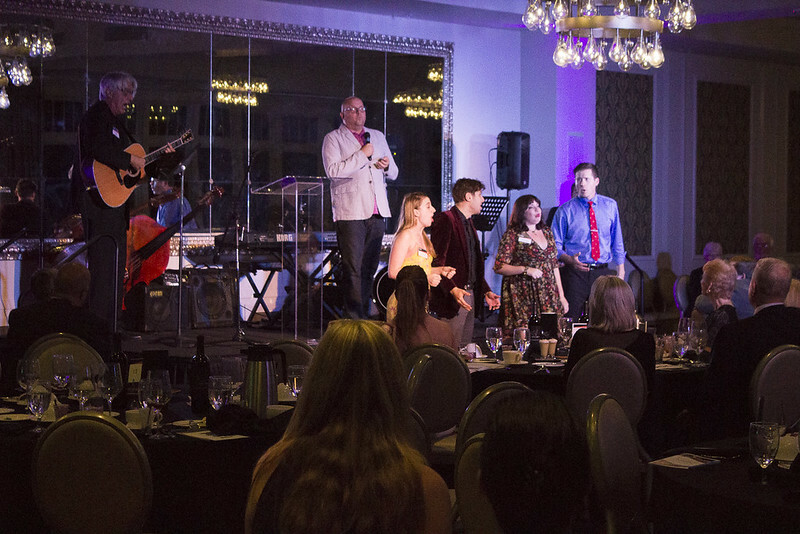 A fundraiser to includes libations, seated gourmet dinner and special performances by favorite American Stage artists highlighting 40 years of powerful stories, and more! From our humble beginnings as a touring theatrical company 40 years ago, we have grown to become Tampa Bay’s performing arts leader in producing Powerful Stories, Boldly Told. This milestone was only made possible because of the talent of more than 3,000 artists, the tireless commitment of our staff, the spirit of the thousands of volunteers, the support of trustees and donors, and the participation of more than ONE MILLION audience members – INCLUDING YOU! Your presence is requested to join American Stage artists and staff for an intimate celebration honoring our history and looking forward to investing in 40 more years of theatre in Tampa Bay. Help us celebrate 40 years strong. As we reflect on the last four decades serving our community as a vital non-profit professional theatre, we are thrilled to look forward to the future together. AS/40 sponsors receive a variety of benefits designed to showcase their support and bring them closer to the art and artists of American Stage. Help us honor & invite the artists of American Stage to be a part of AS/40. $150 – Sponsor an AS/40 Ticket for an individual artist to attend. $1100 – Purchase a table for 8 persons and donate any number of those seats for artists to join you and your guests.